This article was originally published in The Aspen Times by Austin Colbert. Before Jessie Diggins and Kikkan Randall reset the bar last winter on what American cross-country skiers were capable of, it was Vermont's Bill Koch who blazed the trail for the sport in the United States. Koch, who won Olympic silver in 1976 to become the first American to win an Olympic medal in cross-country skiing, is the name behind the Bill Koch Youth Ski League, a nation-wide recreational program Quick read more or view full article for children. It was a program Aspen native August Teague grew up with. "We had this phenomenal American who was shaking up the European ranks and in an attempt to ride out some of that enthusiasm, the U.S. Ski Team rolled out the Bill Koch Youth Ski League," Teague said of the program's start. "It was a recreational, learn to ski, fun program that really tried to capitalize on Bill's spirit." 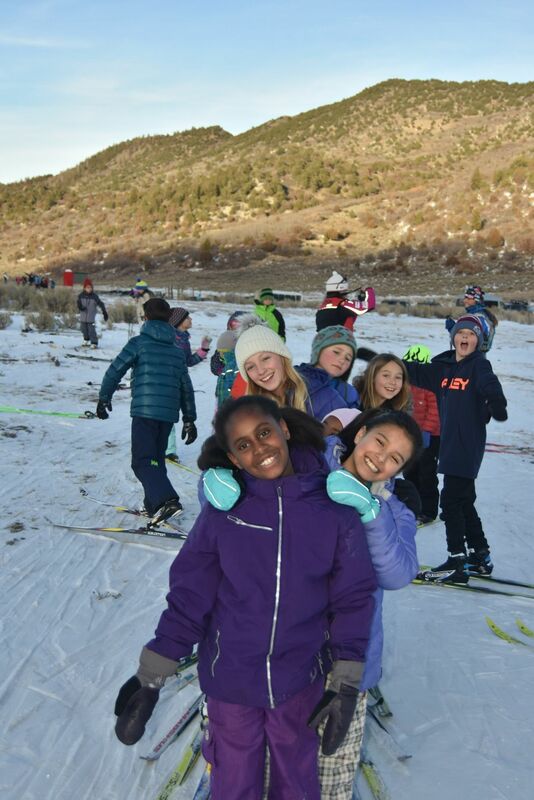 The program disappeared over the past decade-plus in the Roaring Fork Valley as the AVSC's recreational programs were all rolled into the Base Camp program. But, with the alpine Base Camp program going back to its old name — Aspen Supports Kids — in honor of the late Bob Beattie, it seemed like a good time to bring back the Bill Koch Youth Ski League, as well, replacing the Nordic Base Camp program. "The theme this year at AVSC seems to be going back to our roots a little bit," said Teague, the club's Nordic program director. "Our return to the Bill Koch Ski League is embracing going back to our roots. It's bringing back some of that fun, free spirit aspect of the program." Meant for children ages 5 to 11, the program strives to provide a fun avenue to get youth interested in cross-country skiing. The non-competitive league is still big in the Northeast, Koch's native home, but has lost ground in the Rockies. Aspen will be only the third area club to currently provide the league to children, joining the clubs in Leadville and Summit County. "The hope is we can grow it and actually create a festival in the spring that celebrates 'Kochie' and celebrates the fun-loving enthusiasm," Teague said. "It's to have fun outside on snow. It's a lot of games. It's a lot of play on snow." There are one- and two-day options for the Bill Koch League in the valley. In Aspen, sessions are held either Monday or Wednesday, taking advantage of the district's early release. The two-day option, which is typically for the older kids, will be Mondays and Thursdays. The Spring Gulch (Carbondale) programming will be Tuesdays and Thursdays. The AVSC is putting more emphasis on transportation and scholarships for downvalley kids to get them involved in the program this winter. The days won't conflict with the Aspen Supports Kids alpine programs, meaning children can enjoy both gravity-fed sports as well as cross-country ski, if they so choose. Registration is open, with the scholarship deadline and early-pricing deadline set for Nov. 2. Programming begins in late November. Much like with Koch in the late 1970s and early '80s, Teague is seeing in increased interest in cross-country skiing after Diggins and Randall won Olympic gold in February during the Pyeongchang Games. Their medal was the first for the U.S. in the sport since Koch's silver. "Absolutely unbelievable to see what they did," Teague said. "We are seeing the excitement in the athletes we have. We are seeing excitement in new athletes and new participants." For more on the program, visit http://www.teamavsc.org. Registration is currently open. When Bob Beattie, an icon in the world of skiing, died back in the spring, one of his final requests was for the Aspen Valley Ski and Snowboard Club to change the name of its Base Camp program back to its original name, Aspen Supports Kids. Actually, this was something Beattie had been pushing for a while now. "Every time we met or had lunch, he requested the name go back to ASK," AVSC Quick read more or view full article executive director Mark Godomsky said. "So, when he passed in the spring, he had conveyed that message to his son and we thought it was appropriate to go back to it to honor Bob." Beattie, along with Brooke Peterson and Charif Souki, started the program in 1989 and only in the past 10 years or so was the name changed to Base Camp. With roughly 1,600 kids involved, the program is the AVSC's recreational division, in contrast to its competitive, high-level teams. Beattie, who was 85 when he died in April, was a longtime coach for the U.S. Ski Team and a skiing and Olympics commentator for ABC Sports who helped create the World Cup ski racing circuit in the 1960s. He moved to the Aspen area in 1970 and eventually Woody Creek in 1976, where he lived until his death. Among his greatest passions, which was apparent to anyone who knew him, was Aspen Supports Kids. He was a regular at AVSC's annual equipment night in December, a special event in which scholarship recipients receive their free ski and snowboard gear. Gorsuch and D&E help host that event each year. 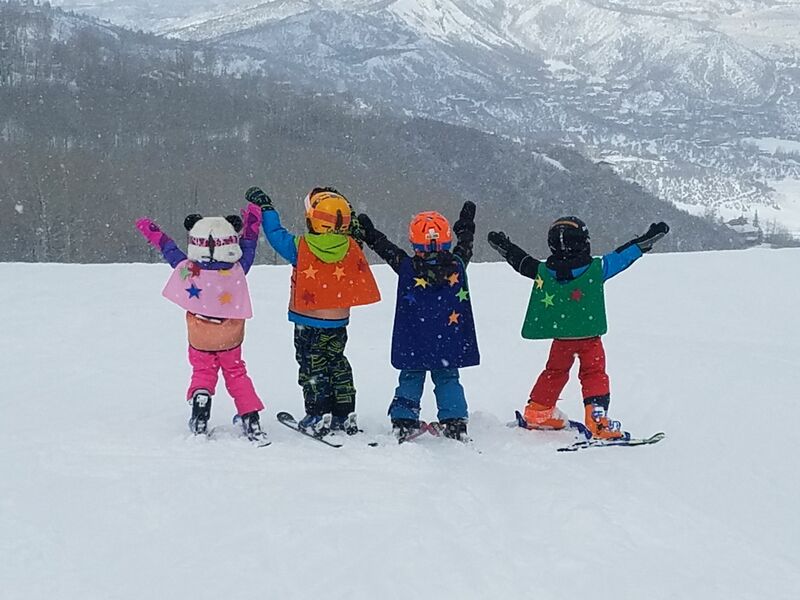 "There is nothing cuter than kids putting their skis on for the first time," ASK program director Meredith Elwell said. "It has kids from as far away as Rifle. We are providing opportunities for them and helping them be able to access our mountains and to get up on the hill and enjoy what our winters offer." Elwell is going into her second season with AVSC, and first in charge of Aspen Supports Kids. Available to children from 3 1/2 to 18 years of age, registration for the 2018-19 season opens Sept. 14 through the club's website. A limited number of scholarships for both general fees and equipment are also available. The scholarship deadline is Oct. 19. "I've seen it from a parent perspective. I have two kids in the program, and you can't wait to get your kids into the Aspen Supports Kids program," Elwell said. "It's what you do in the winter. It's fun to be on the flip side, helping organize that opportunity." With a strong emphasis on getting downvalley kids into the ASK program, AVSC will host a few registration nights away from Aspen. Dates include Oct. 4 at Glenwood Springs Middle School, Oct. 8 at Basalt Middle School and Oct. 11 at Roaring Fork High School in Carbondale. 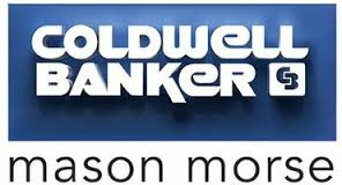 In addition, Elwell will be available Oct. 15 to 19 from 4 to 7 p.m. at the Coldwell Banker Mason Morse building in Carbondale to discuss the program and help with registration. For more information or to register, visit http://www.teamavsc.org.